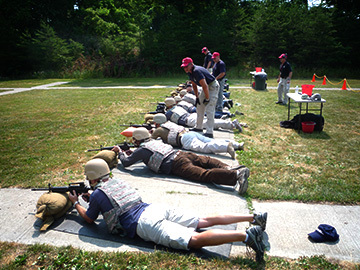 The instructors conducting the weapons qualification are security professionals that possess expertise and experience in Special Forces, federal and local law enforcement and the corporate environment. 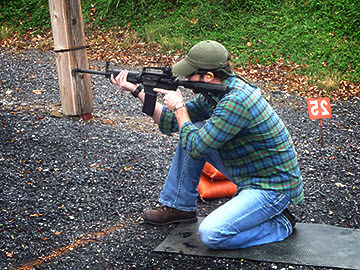 Our instructors provide classroom instruction on safety, weaponry, and handling of weaponry in a given situation; whether in the U.S. or on deployment. Completed weapons qualification packets are submitted to the respective Contracting Officer’s Representative (COR) for approval and a weapons card is issued to all approved personnel. The Civilian Arming Program is not only a qualification training class but serves as a document submission and record keeping authority too. It also serves as a tracking mechanism for re-qualification notification and weapons card issuance. Since 2008, SRCA has trained and qualified over 1200 deploying personnel and provides two classes every month. Additional classes can be accommodated by request.